"Working together for the best quality of life for everyone in Aberdeenshire"
Police Officers in Aberdeen are advising businesses to be aware following a number of reports of fraud and attempted card payment machine fraud in Aberdeen this week. Read more Police Scotland are launching their annual campaign to raise awareness of doorstep crime and to promote how the public can protect themselves from becoming a victim of this type of offence. The latest Police Scotland report of noteworthy property incidents in Aberdeenshire has been published. It covers mid-February to mid-March. Read more Police Scotland are launching their Shut Out Scammers initiative sharing advice with the public to help keep safe from online fraudsters. Romance scams or fraud, also known as catfishing, happens when victims are deceived into �false� �relationships� by fraudsters who aim to steal their money or personal information. Read more Firefighters were called to tackle more than 1,800 deliberate fires across Scotland in the space of just two months. Help to Stamp It Out by reporting any fire related anti-social behaviour. Scam Warning - Fake TV Licensing Emails. Fraudsters are sending the public fake TV Licensing emails that are designed to steal their personal and financial information. Read more Police Scotland is warning members of the public to be aware of a fraud which has recently resurfaced. A local resident was victim to a mobile telephone SIM fraud which resulted in the loss of a four figure sum of money. This is often referred to as SIM swap, SIM split or SIM interception attack. Following recent reported incidents of Scams relative to HM Customs and Excise, personal pensions, financial investments, DVLA, TV Licencing etc. Neighbourhood Watch Scotland have issued general advice on how to avoid being caught out by these Scams. Read more The Garioch & North Marr Community Safety Group with help from the Marr Area Committee and the Monymusk Thrift Shop has funded a Road Safety Event for 12 youngsters aged between 14 and 17 from the North Marr area. The new Aberdeenshire Alcohol and Drug Website has been launched. The main focus is to provide communities with ease of access to information and guidance about alcohol and drug issues. Read more The Police Service of Scotland is committed to the prevention and detection of crime and considers all measures that have the potential to assist in this commitment. They have produced a document providing advice on a range of CCTV related issues for domestic users. Following reports of a further increase in thefts of keyless cars and of related suspicious activity within resident�s driveways, new advice has been issued by Neighbourhood Watch Scotland. Read more Telematics car insurance, also known as black box car insurance makes use of your own driving data � where, when and how you drive � to potentially help bring down the cost of your car insurance - including 17-24 year-olds. The clocks have gone back. With the darker nights, comes an increase in burglary and other thefts so now is a great time to consider your security. Read more It is reported that there has been a noticeable increase in vishing frauds against the elderly, including fake calls allegedly from banks and from Paypal. Read about some shocking cases and learn how to protect yourself. Don't make life easy for criminals! Always install the latest software and app updates. Ask for Angela is campaign launched in 2017 in Aberdeen to help people who feel uncomfortable or unsafe on dates, in the company of others, or any other social situation, is being widened to the whole of the North East. Read more A new partnership dedicated to tackling rural crime in the North East and improving safety in remote communities has been launched. When you're in need of emergency medical treatment, a common place paramedics and other care providers will look for your emergency details is your mobile phone. But if it's locked, how will they find what they need? Read more The NSPCC has produced NetAware - a guide to the social networks your kids use. Stay up to date and keep your child safe in today's digital world. Police Officers in Aberdeen and the North East are urging people to be aware of counterfeit notes following recent reports of attempts to tender fake notes in the city. Read more The Garioch & North Marr Community Safety Group had a display at the Insch Community Safety Day at Insch Leisure Centre. Which? is warning parents to approach children�s slime with caution after tests found some contain levels of boron more than four times the safety limits permitted by EU standards. Read more Keeping a child safe by parking considerately when dropping off and collecting children from school is the message in the Park Smart campaign. Officers have praised a quick-thinking Buckie shop worker for preventing an elderly couple being scammed out of hundreds of pounds. Police, Local Authority Trading Standards Services, Citizens Advice and retail partners have joined forces to raise awareness of doorstep crime and to promote how the public can protect themselves from becoming a victim of this type of offence. Read more There has been a sharp rise in fraudsters sending out fake text messages (smishing) and phishing emails claiming to be from TSB. The increase in the number of reports corresponds with the timing of TSB�s computer system update. Keyless Theft or Relay Theft continues to be a growing issue. In fact vehicle security experts estimate 68 per cent of stolen cars are now taken after being "electronically compromised". Read more Minimum Unit Pricing (MUP) took effect on 1st May at 50p a unit. For some, MUP may come as a surprise and misinformation may spread. Alcohol Focus Scotland have produced a myth-buster that aims to keep the record straight. Fraudsters are cold-calling victims, purporting to be from a Television (TV) provider offering a discount on their monthly subscription. Don't get caught. Read more This week the Scottish Government confirmed that more than 18,000 eligible producers will start receiving the final balance of their Common Agricultural Policy entitlement for 2017. This information is readily available and as a consequence you may be at greater risk from on-line or telephone scams. Neighbourhood Watch has issued a warning about fraudsters claiming to be from HMRC, following a reported incident from a local Neighbourhood Watch co-ordinator who received a cold call purporting to be from HM Revenue and Customs stating that court proceedings were being taken regarding a Tax Debt. Read more A campaign has been launched to help improve the safety of pupils by urging "selfish" parents to stop parking dangerously outside schools in Garioch. The Garioch & North Marr CSG has provided school gate banners. The 31st of January is the launch of Water Safety Scotland's Drowning Prevention Strategy. Please support the targets of reducing drownings in Scotland by 50% by 2026 and contributing to a reduction in water related suicides. Take Five To Stop Fraud Week is part of the national campaign from Financial Fraud Action UK and the UK Government, backed by the banking industry coming together to tackle fraud. To find out how to avoid fraud Read more Police Scotland North East Division is urging folk to register with Neighbourhood Alert to get the latest information on crime prevention, community safety and resilience. Meet the new Safer Community Wardens who are now working across Peterhead and Fraserburgh. Read more Retailers Against Crime have published a booklet of Crime Prevention Information including advice on how to keep yourself safe when out shopping (PDF file). Read the October Aberdeenshire ADP e-Bulletin. Read more LARGE PDF File The Active Hub for 12 - 16 year olds offering Sport, Art, Music & more will be at Inverurie Academy on Fridays from 7:30pm to 10pm from 1st September. Want specific fire safety advice for people living in multi storeys? Read more Police Scotland and Aberdeenshire Council have launched a local policing plan for Aberdeenshire for 2017 - 2020. Is it awkward to test your smoke alarm weekly? Do you know someone who has difficulty in reaching their smoke alarm to test it? The smoke alarm tester may be the answer. Read more In recent times, with the introduction of contactless payment, thieves are adapting to come up with new methods to steal your personal data and information. The Garioch & North Marr Commuity Safety Group has purchased a supply of Card Minders which protect contactless credit & debit cards and has distributed them to Libraries in the Garioch and North Marr areas. Hate Crime is any criminal offence committed against an individual or property that is motivated by a person's hatred of someone because of his or her actual or perceived race, religion, transgender identity, sexual orientation or disability. To help stop it - Read more The South Marr and Garioch & North Marr Community Safety Groups have funded banners to highlight dangerous parking on yellow lines and zig zag markings outside schools in the Marr area. The Emergency Contact Information Disc for your car replaces the old tax disc on your windscreen. It provides vital information for the emergency services in the event of an accident. You can download a copy. Download here The Aberdeenshire Community Safety Partnership is offering �100 towards the cost of the Pass Plus driving course for young drivers under 25 years of age. Please note that the grant is not available to drivers in the Buchan CSG area. Read more Minority Ethnic Housing Project and Shelter Scotland are working together to run an one-stop-shop providing advice and information alongside a computer club for non-UK nationals living in Aberdeen and Aberdeenshire. Trained advisors are available to look at complex housing, welfare rights and employability issues and to help with applications forms. Don't let this happen to you or to a vulnerable person you know - get a FREE Home Fire Safety Visit. The Guide "Living and Working in North East Scotland" has been updated in various languages: Arabic, English, Latvian, Lithuanian, Polish, Portuguese and Russian. Learning to live in a new country can be difficult. Local Community Groups are offering funding for local community projects. Click below for more information. A new electronic speed sign is to be used in the Garioch area to assist police officers dealing with road traffic offences. The sign has been purchased by the Garioch Community Safety Partnership and will be used throughout the Garioch area including in Kintore and Westhill. Read more First on Scene has produced four movies that will provide young people with life saving skills to help in emergency situations. Residents in Aberdeenshire & Moray live in a low crime area. Police Scotland are committed to ensuring that the people living in our communities continue to enjoy residing in an area where crime is low. They have produced a Home Security Quiz which will help keep you and your property safe. Read more The Scottish Fire & Rescue Service has published the Aberdeenshire Local Fire and Rescue Plan 2014-17. The worst accidents in Scotland happen on country roads - 3 out of 4 road deaths occur on them. They are mostly caused by loss of control and driving too fast for the conditions. Read more A local Group has joined forces with Police Scotland and Scottish Fire and Rescue Service to encourage drivers to stay safe on Aberdeenshire's rural roads particularly during the "Country Roads Rush Hour" between 3pm and 6pm when accidents on rural roads peak. Action Fraud has received more than 5,000 reports about fake emails and texts purporting to be from TV Licensing. Click the image for information on what you need to know and do. Officers are urging residents to lock up their property after a number of cars were reported stolen from the Aberdeen and Aberdeenshire areas. Watch out for fake British Gas refund emails. There has been a marked increase in the number of members of the public being cold called by fraudsters claiming to be officials from various government departments advising they have an outstanding debt. There has been an increase in reports made by TSB customers relating to "port-out" fraud. Interested in setting up a Community Cycle Club to educate on road and cycle safety both for drivers and new cyclists? In Scotland, 1 in 22 homes are at risk from flooding. There are simple steps you can take to protect your family and property. 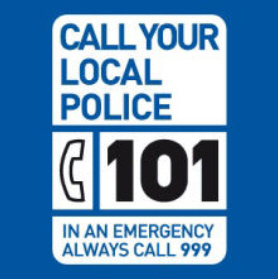 REMEMBER - there is a new national number for non-emergency phone calls to the Police. Fake Government Grants Fraud Alert. Don't be caught out! Fake Police Officers target the elderly - Protect Yourself. Protect yourself from Bogus Electrical Goods Websites. Don't be caught out by scams in online advertising platforms where items are acquired for free. Don't be caught out by Council Tax scams. Try the new Alcohol Demotivator at Abbeycare. It's a new and interactive tool that helps individuals to stop drinking when they feel triggered... by clearly laying out the potential consequences in their life - both health and otherwise. The Scottish Government is running a national campaign on Child Sexual Exploitation and has prepared a campaign toolkit. The toolkit provides more details of what the campaign looks like and how organisations can support the campaign and obtain any of the materials developed. If you are from a minority ethnic community or have recently moved here from another country, and are looking for information and advice about housing in Aberdeen and Aberdeenshire click the link below for more information in seven languages (PDF file). The Aberdeenshire Community Mediation Service can help resolve conflict between neighbours. What Goes On In The Mind Of A Housebreaker? Enjoy "a life less ordinary" by becoming a retained firefighter. Doorstep crime, from bogus callers to rogue traders, is a serious problem in Scottish communities and one which is often under reported but you can do something about it. Are you aware of the new law on drink driving effective from early-December? Click the link to get up-to-date. Download the flyer (large file - 790kb). Police Scotland have issued advice about dealing with bogus callers and workmen. Cannabis is the most widely used illegal drug in Scotland. Help weed out the illegal cultivation of cannabis. Community Safety information is available on the Safer Communities Scotland web site. Click the logo to find out about safety when you get off the school bus. Click the logo to learn more about the National School Bus Safety project which started in the North East of Scotland. Sacro aims to promote community safety across Scotland through providing high quality services to reduce conflict and offending. To contact the Aberdeenshire Council Dog Warden Service or find out more information in relation to Aberdeenshire Councils Environmental Services please click on the link below. ADAT leads efforts to achieve a healthier, happier and safer Aberdeenshire, free from harm due to alcohol and other drugs. Safety Cameras Scotland is the collective name for the North, East and West Safety Camera Units. It works together with the Scottish Safety Camera Programme and Police Scotland in operating speed and red-light cameras across Scotland.